[R]esearch on DTH satellite TV service took me to a public website which is an archive going back to 1934. And boy, there is so much information there ..! Knowing that many of your readers/contributors have made mention of using Beverage antennas I think this may make interesting reading. The report describes a method for accessing the performance of a Beverage, long wire, receiving antenna using off-air HF broadcast signals. […]It looks like the lower the better. And yes, there’s some heavy maths formula in there ..! Wow–you’re right, Kris! This is very useful information. I’ll skip the maths bit and just follow the advice! Thank you for sharing. This entry was posted in AM, Antennas, How To, Mediumwave, News, Shortwave Radio and tagged Beverage, Beverage antenna, Kris Partridge on December 11, 2016 by Thomas. 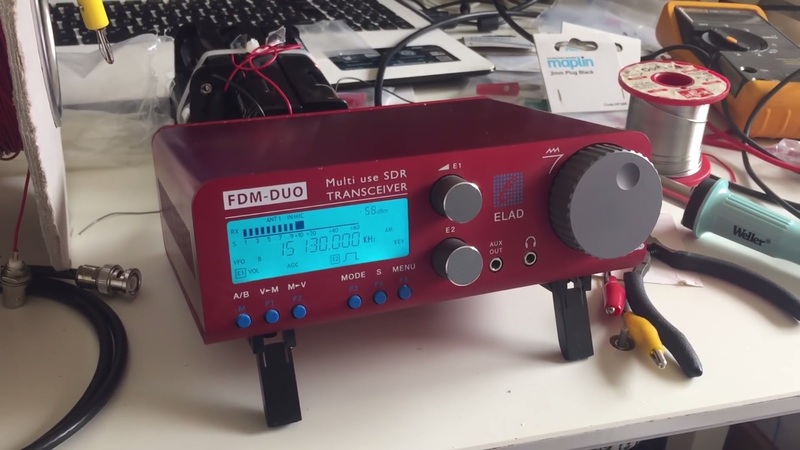 Hi there, a few weeks ago I posted a couple of medium wave DX catches with the Elad FDM DUO and newly constructed 200 metre Beverage antenna. Since then (and following my trip to Brazil) I have uploaded several more catches, some of which I would like to share with you. It has become evident that the Beverage’s low-gain but high SNR properties resulted in a huge increase in the sensitivity of my entire set-up and as a result. I have achieved numerous personal firsts on the medium wave band, coupled with many other signals that I can only describe ‘best-ever reception’. If nothing else, this endevour has underlined the importance of utillising the best antenna possible for your particular circumstances. We’ve all read at some point, how, in many respects, the antenna is more important than the receiver – and these catches demonstrate how absolutely true that statement is. All of the reception videos were captured using the Elad FDM DUO running on a home-brew battery-pack and connected to the Beverage via a 50 Ohm input transformer. Below is the first set of reception videos, most of which are signals from East Coast of the United States. However, there is also an absolutely booming signal from WGIT Puerto Rico into my QTH in Oxford UK. Part 2 will follow almost immediately, but in the mean time thanks for watching/listening and I wish you all great DX! MW DX with 200 metre Beverage: WGIT Puerto Rico 1660 kHz, booming! This entry was posted in AM, Antennas, Broadcasters, DXpeditions, International Broadcasting, Mediumwave, Portable Radio, QRM, Recordings, Shortwave Radio, Shortwave Radio Reviews, Software Defined Radio, SWLers and tagged Beverage antenna, Boston, DXpedition, ELAD, Family Radio, FDM-DUO, Lewiston, Maine, NBZ Newsradio, New York, Presque Isle, Puerto Rico, Software Defined Radio, WADO, WEGP, WFME, WGIT, WLAM, WLIB on December 5, 2016 by Clint Gouveia. Hi there, further to my previous post regarding the initial testing of the Medium Wave Circle-design 200 metre Beverage antenna at the woods in Oxford, UK, I am pleased to share further reception videos for both the medium wave and shortwave bands. 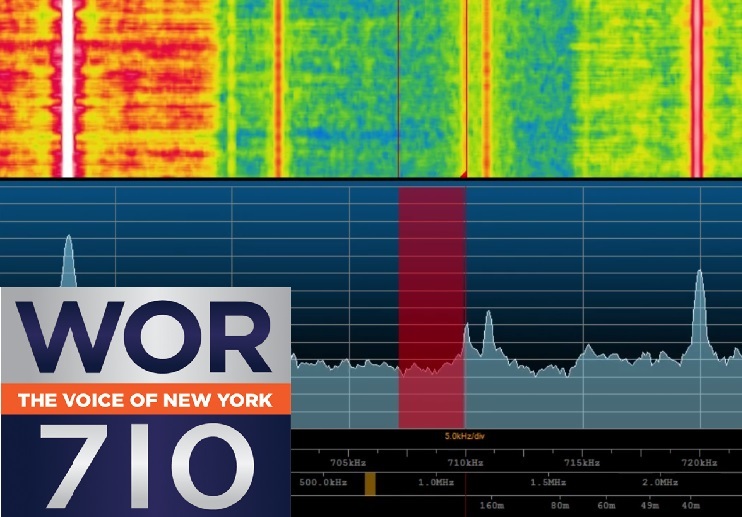 For medium wave, I operated the FDM DUO via a laptop and the FDN-SW2 software, recorded the entire band at the top of the hour and retrospectiively analysed the signals. For shortwave I utillised the FDM DUO as a standalone receiver, routing the audio via the excellent Bose Soundlink Mini 2 speaker. As a quick recap, the antenna was terminated at the ‘front end’ with a 650 Ohm resistor into a 1 metre-long, permanent copper earthing rod that I had previously driven into the ground, away from the route taken by the general public. The actual wire was orientated in a generally westerly direction, and thus nulling signals propagating from the east. 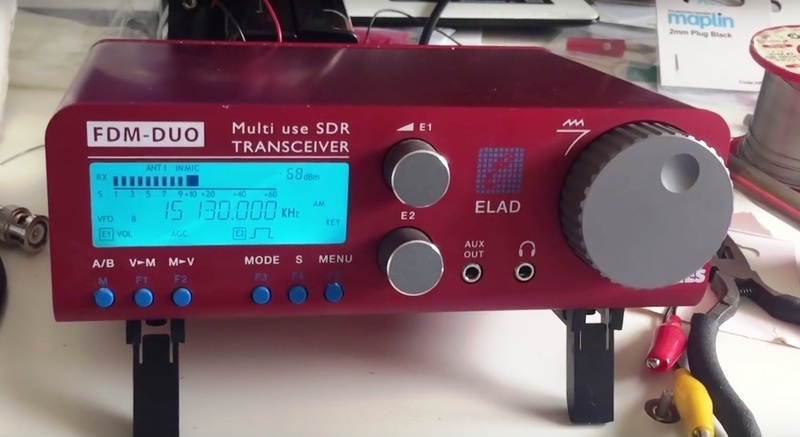 At the receiver end, I utillised my self-built transformer, wound for a 50 Ohm input impedance (14 turns on the primary), thus making the entire set-up suitable for the Elad FDM DUO. It was quite a pain to set up, taking over an hour to deploy, however, the results were very promising. A scematic diagram follows below. MW DX with the 200 metre Beverage: VOCM 590 kHz, St. John’s, N & L, BIG signal! MW DX with the 200 metre Beverage: WRCA 1330 kHz, Waltham Mass., big signal/ clear IDs! 200 metre Beverage: Radio Nacional Brazilia 11780 kHz, booming! The reception from VOCM St. Johns, Newfoundland & Labrador and WRCA Waltham, Massachusetts was unprecidented and another indication that the 200 metre Beverage configuration is demonstrating excellent SNR performance. Similarly, the reception of Radio Nacional Brazilia was an improvement on any signal I’d previously recorded with any receiver or antenna. Finally, the signal received from Radio Huanta 2000 – one of the more exotic stations on the Tropical Band and rarely heard in Europe – delivered discernible audio with this set-up, whereas previously I had only ever observed a carrier. All-in-all a very pleasing result, with more reception videos using this antenna set-up to follow in the coming weeks. Right now I’m uploading SW and MW reception videos to my YouTube channel, recorded during my two week trip to Pará in Northern Brazil – it was really interesting to check out what can be heard on the radio in the middle of what is a very remote area of tropical rainforest. I hope you find the time to take a look. In the meantime, thank you for watching/ listening and I wish you all good DX. This entry was posted in AM, Antennas, DXpeditions, International Broadcasting, Portable Radio, Radios, Shortwave Radio, Software Defined Radio and tagged Beverage antenna, DXpedition, ELAD, FDM-DUO, Medium wave DX, MW DX, Radio Huanta 2000, Radio Nacional Brazilia, SDR, shortwave, Shortwave Radio, Shortwave Radio Recordings, Shortwave Radios, Software Defined Radio, VOCM, WRCA on November 2, 2016 by Clint Gouveia.